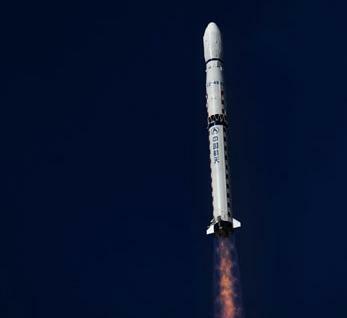 China launched a new high-resolution remote sensing satellite on Monday around 03:17 UTC using the Long March 4B (Chang Zheng-4B) launch vehicle from the Taiyuan Satellite Launch Center’s LC9 launch platform. 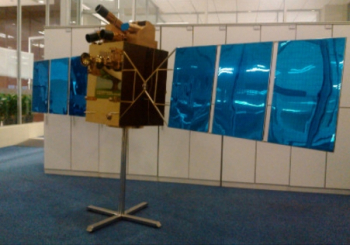 The Ziyuan-3 (2) is the second high-resolution geological mapping satellite, to be used for civil purposes. The launch included two satellites for the Aleph-1 constellation. The new satellite is the second of a series of high-resolution civilian remote sensing satellites, grown from a project that was initiated in March 2008. With Ziyuan-3 (2) the global coverage period is shortened by half and the re-visit cycle is shortened from five days to three days. Also, the resolution of the stereo mapping camera was improved from 3.5 to 2.7m. The new satellite carries three high-resolution panchromatic cameras and an infrared multispectral scanner (IRMSS). The cameras are positioned at the front-facing, ground-facing and rear-facing positions. Two cameras (front-facing and rear-facing) have a spectral resolution of 2.7m and 52.3km ground swath while the ground-facing camera has a spectral resolution of 2.1m and 51.1km ground swath. The IRMSS has a spectral resolution of 6.0m and 51.0km ground swath. The satellite is equipped with two 3 meters solar arrays for power generation and will orbit a 505.984 km sun-synchronous solar orbit with a 97.421 degree inclination. This orbit will have a re-visit cycle of 5 days. The operational period will be four years with a possible life extension to five years. The new satellite will conduct surveys on land resources, help with natural disaster-reduction and prevention and lend assistance to farming, water conservation, urban planning and other sectors, surveying the area between 84 degrees north and 84 degrees south latitude. The spacecraft is composed of a service module and a payload module. The service module provides supporting functions to the spacecraft such as structure and mechanisms, power generation, control and pointing services, data management subsystem, temperature maintenance, propulsion subsystem, and TT&C (Tracking Telemetry and Command) services. 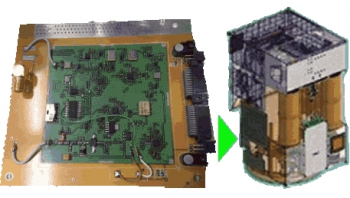 The payload module includes the sensor complement, the DTS (Data Transmission System), and the image data recording system. The three-line array camera is mounted on top of the spacecraft payload module, pointing toward Earth. The ZY-3 satellites are designed and constructed by CAST/BISSE (China’s Academy of Space Technology)/Beijing Institute of Spacecraft System Engineering) for the Chinese Ministry of Land and Resources (MLR), using modified ZY-2 platform. The spacecraft is 3-axis stabilized, with the launch mass about 2,630 kg. The ZiYuan program appears to cover different civil and military earth observation – as well as remote sensing – programs. 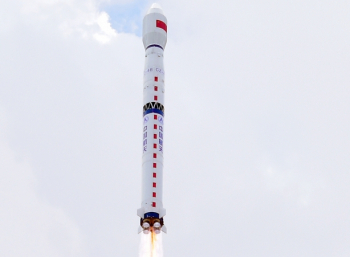 The ZiYuan-1 program is focused on Earth resources and appears to have two distinct military and civil branches – with this one operated together with Brazil. The satellites are operated jointly by the Center for Earth Operation and Digital Earth (CEODE) and the Brazilian INPE (Instituto Nacional de Pesquisas Espaciais – National Institute of Space Research). The ZiYuan-2 program is likely used for aerial surveillance operated by the People’s Liberation Army (PLA) while the new ZiYuan-3 series will be used for stereo mapping, like the TH-1 TianHui-1 mapping satellite that is operated by the PLA. 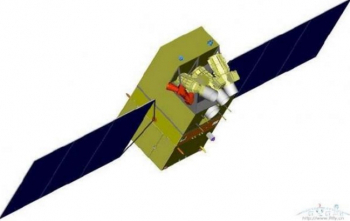 ZiYuan-3 will be operated by the State Bureau of Surveying and Mapping. The additional payload on this launch is composed of the Argentinian ÑuSat-1 and ÑuSat-2 satellites that are the first satellites in the Aleph-1 constellation that is being developed and operated by Satellogic S.A.. The Aleph-1 constellation will consist of up to 25 satellites. The two satellites are almost identical to each other and have a mass of 37 kg, with dimensions 450mm x 450mm x 800mm. The primary objective of the mission is to commercially provide earth observation images to the general public in the visible and infrared parts of the spectrum. ÑuSat-1 carries a U/V linear transponder provided by AMSAT-LU to offer services to the HAM community. In addition to operation in other services with downlinks on 8GHz and uplinks on 2GHz, the group is proposing a U/V linear. The U/V inverting transponder, named LUSEX, will have an uplink of 435.935 MHz to 435.965 MHz and a downlink of 145.965 MHz to 145.935 MHz. With 250 mW. There will also be a CW beacon at 145.900 MHz with 70 mW. AMSAT-LU provides simultaneous support for this mission and the ÑuSat-2 mission, by operating one of the control stations at Tortuguitas, Buenos Aires. Both satellites are equipped with cameras operating in visible light and infrared and will operate in 500 km SSO orbit with inclination at 97.5 degrees. After the successful launch of China’s first DFH-2 communications satellites by Chang Zheng-3, the main mission of the Chang Zheng-4 was shifted to launch sun-synchronous orbit meteorological satellites. 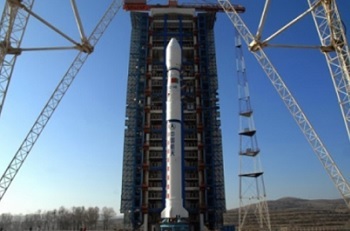 The Chang Zheng-4B launch vehicle was first introduced in May 1999 and also developed by the Shanghai Academy of Space Flight Technology (SAST), based on the Chang Zheng-4. The launch vehicles are assembled on the launch pad by using a crane at the top of the umbilical tower to hoist each stage of the vehicle in place. Satellites are airlifted to the Taiyuan Wusu Airport about 300km away and then transported to the centre by road.